Kathleen H. Ramler, age 90 of Melrose, died peacefully surrounded by her family on Monday, February 11, 2019 at St. Benedict’s Senior Community Center in St. Cloud, Minnesota. A Mass of Christian Burial will be held at 11:30 a.m. Tuesday, February 26 at Sacred Heart Catholic Church in Freeport with Rev. Marvin Enneking officiating. Interment will be in St. Mary’s Cemetery. Visitation will be held from 10 to 11:30 a.m. Tuesday at the church in Freeport. Kathleen Helen Ramler was born March 19, 1928 in St. Stephen, Minnesota to Michael and Loretta (Wimmer) Schimnitsch. She attended the country school in St. Stephen school district. Kathleen was united in marriage to Roman M. Ramler on June 3, 1948 at St. Stephen’s Catholic Church. Together the couple built their home in Albany where they owned and operated their farm while raising their six children. After the couple retired, they moved to Melrose in 1991. Kathleen was a member of St. Mary’s Catholic Church in Melrose, Christian Mothers, St. Anne’s Society, and Catholic Aid Association. 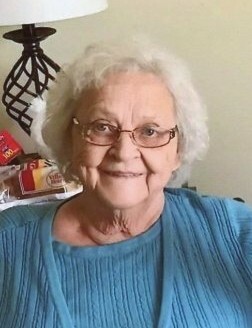 She enjoyed quilting, embroidering, playing cards, cooking, gardening, canning and freezing vegetables, and baking with her grandchildren. Kathleen also liked to take short trips with her family. Survivors include her children, Sandy Drahota of Buffalo, Ron (Elaine) Ramler of Lake St. Louis, Missouri, Marlene Stangl of St. Cloud, Diane Hughes of St. Cloud, Robert (Patti) Ramler of Albany, and Lisa Ramler of Rice; 12 grandchildren; and 20 great-grandchildren. Kathleen was preceded in death by her husband, Roman M. Ramler on February 19, 2008; parents; sisters, Arlie Goenner and Phyllis Giaudrone; and sons-in-law, Dave Drahota and Clyde Stangl. Serving as casket bearers will be Dan Ramler, Brian Drahota, Mike Stangl, Huston Ramler, Jeremy Ramler, and Dan Johnson. Cross bearer will be Michelle Schroepfer and scripture bearer will be Julie Johnson. Eucharistic ministers will be Kala Beckrich and Sarah Stepan. Lector will be Ron Ramler and gift bearers will be Amy Hasher, Kim Cummings, and Jodi Drahota.